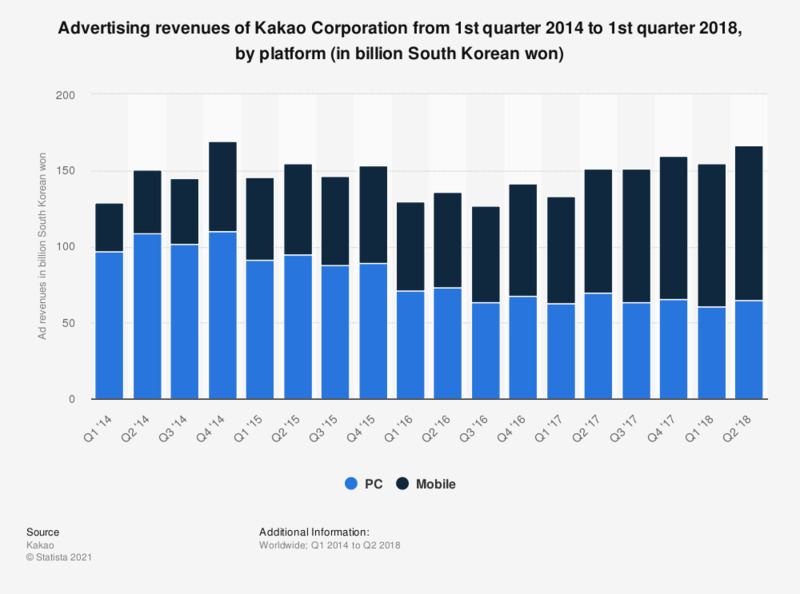 This statistic presents the quarterly advertising revenues of Kakao Corporation from first quarter 2014 to second quarter 2018, by platform. As of the second quarter of 2018, Kakao's mobile advertising revenue amounted to 101.49 billion South Korean won. Data from Q3 '16 onward are Statista calculations. Note: 1,000 South Korean won equal 0.88 U.S. dollars and 0.76 euros (as of July 2018).